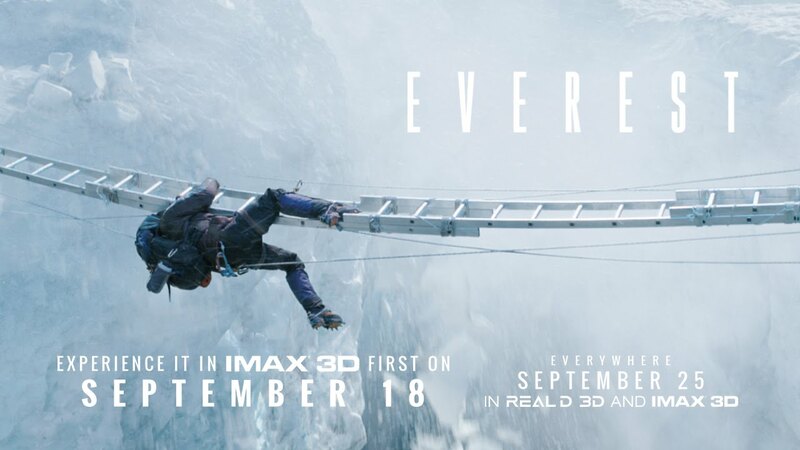 Check out this special IMAX® trailer for the upcoming movie, Everest. The eerie and dangerous nature throughout the trailer sets the tone for what is yet to come. Everest is based on a true story of two climbing groups attempting to reach the top of Mount Everest. With the dangerous weather conditions implemented, the journey was a treacherous and enduring expedition. This devastating story will honor the climbers who fought through the challenging conditions back in 1996. The obstacles they faced were far from easy, yet they braved through some of the most life-threatening situations. Catch the Everest trailer, playing in IMAX theaters ahead of Mission Impossible: Rogue Nation, and get a first look at this incredible journey up to the highest peak in the world.